What are you hungry for? What is your focus in life? Are you caught in in worldly desires or would you sincerely like to enhance your relationship with God and increase the power of the Holy Spirit working in you? 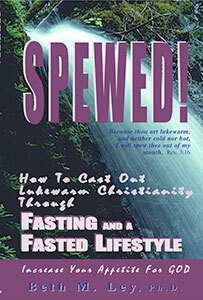 Enhance your relationship and commitment level to God through fasting. The more we decrease the desires of the flesh, the more the Holy Spirit can rise up in us. Fasting is an awesome way to express your love for God. Stir up your hunger for God so He can be the supreme hunger of your heart and life!